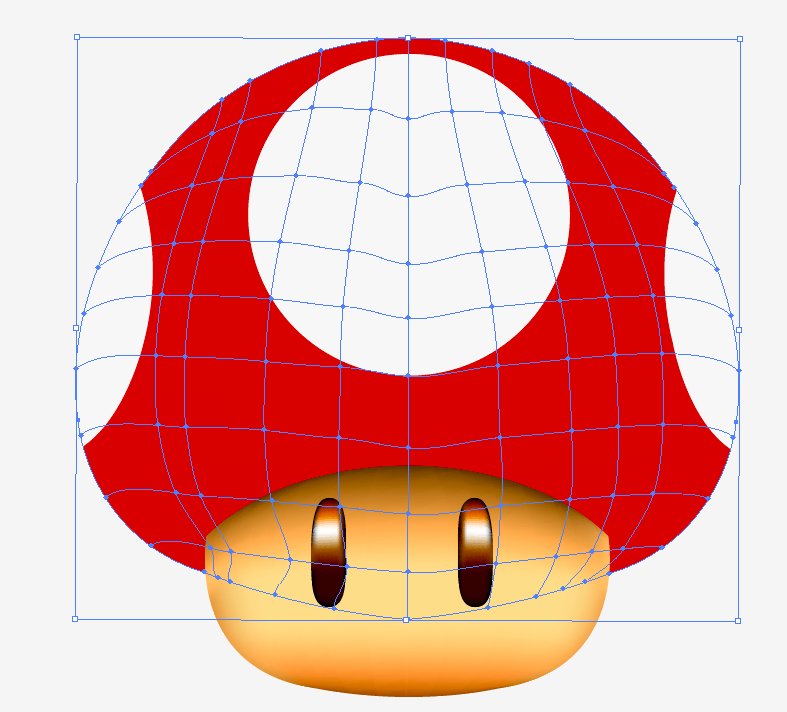 In this post, we’re going to learn about a bit about Illustrator’s Mesh tool. 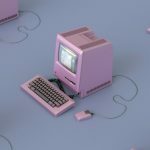 It’s one of the hardest tools to master in Illustrator, but if you want to achieve a 3-D look in your illustrations, you have to really understand how to use this tool properly. 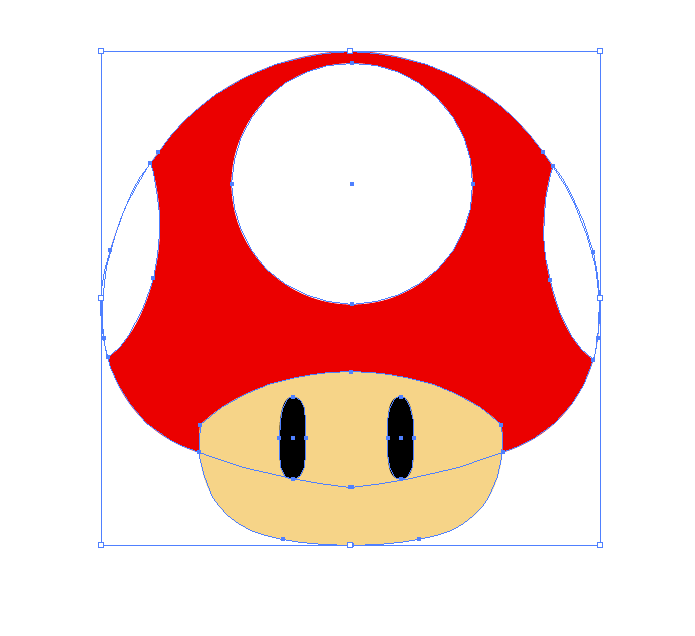 We’re going to create a Super Mario-style mushroom in order to better understand how to use this tool using a real life example. When you get to the end of the tutorial, please share your results with us. And do let us know if you ran into any trouble along the way. 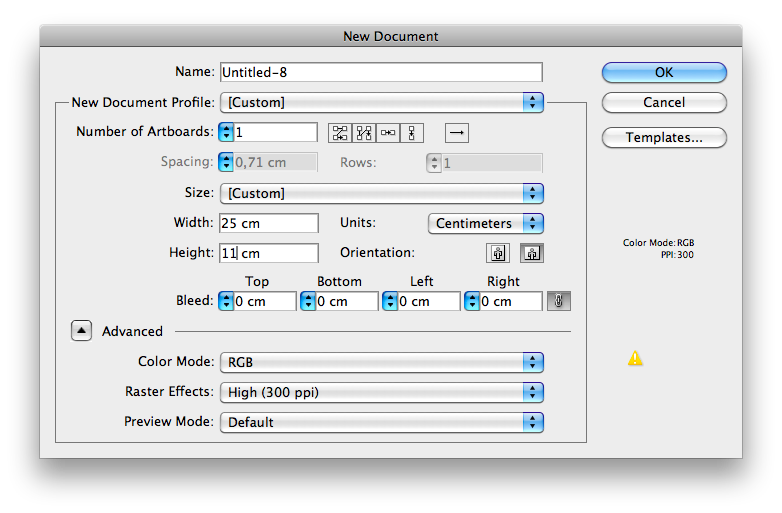 Let’s open Adobe Illustrator and create a canvas that is 25 × 11 cm (9.84 × 4.33 inches), in RGB, and at 300 DPI. Let’s start on the left side of the canvas. Make the rulers visible (Command/Control + R), and then draw one down the y axis. 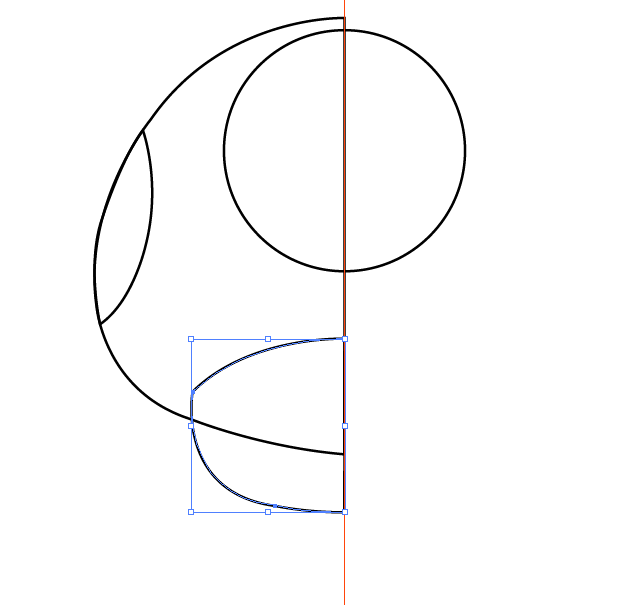 Using the Ellipse tool (the shortcut is the letter L), draw a circle (hold down Shift to make the circle perfect). 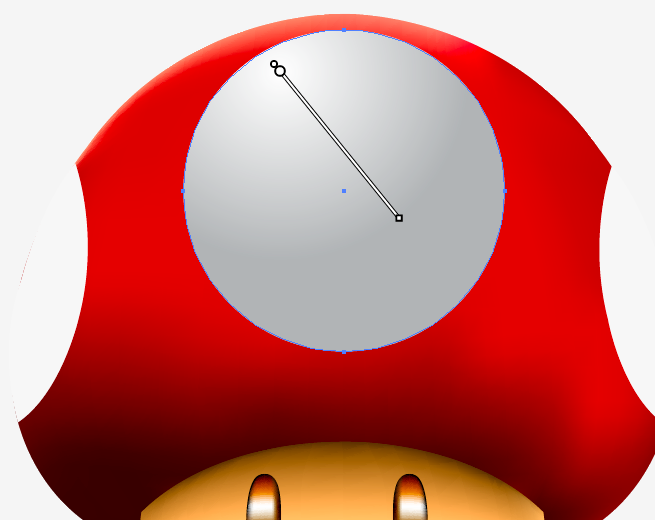 Using the Pen tool (P), make this mushroom head shape. Don’t forget to include a straight line on the right, because we’re going to be reflecting this side later for the rest of the illustration. 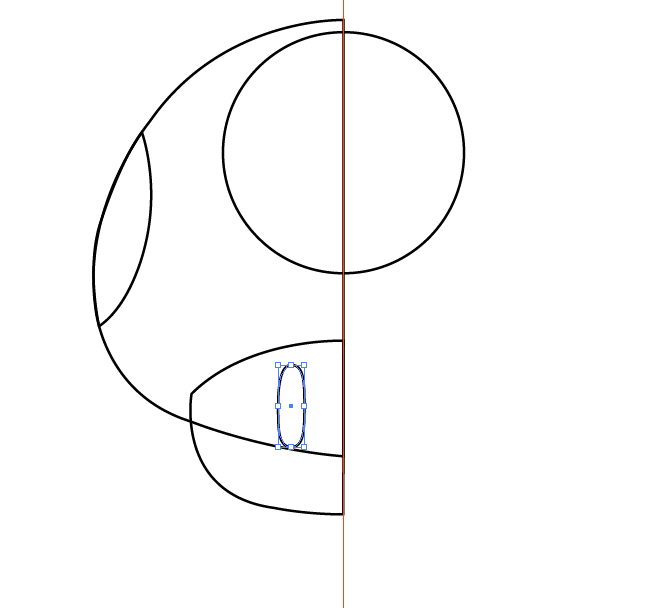 Again using the Pen tool (P), draw the following contour (which will be one of the white dots) on the mushroom head, staying in perspective. 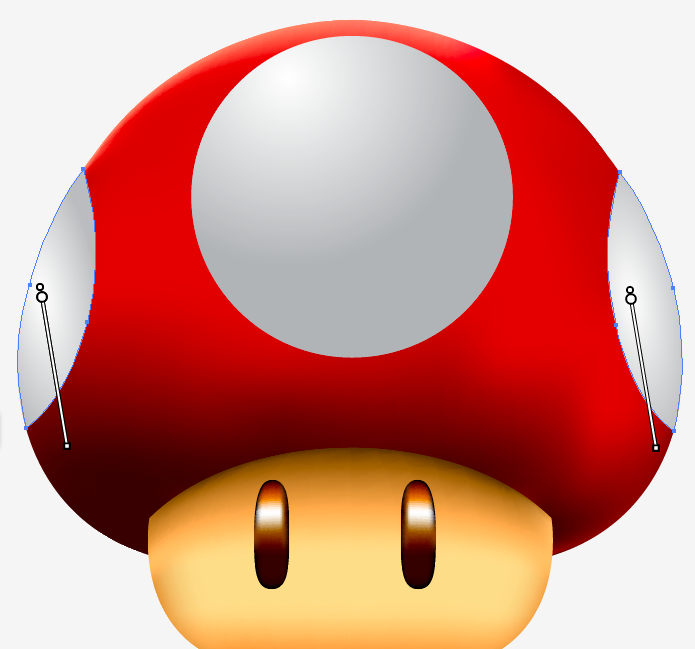 Create the face of the mushroom with the Pen tool (P), again to allow it to be reflected. 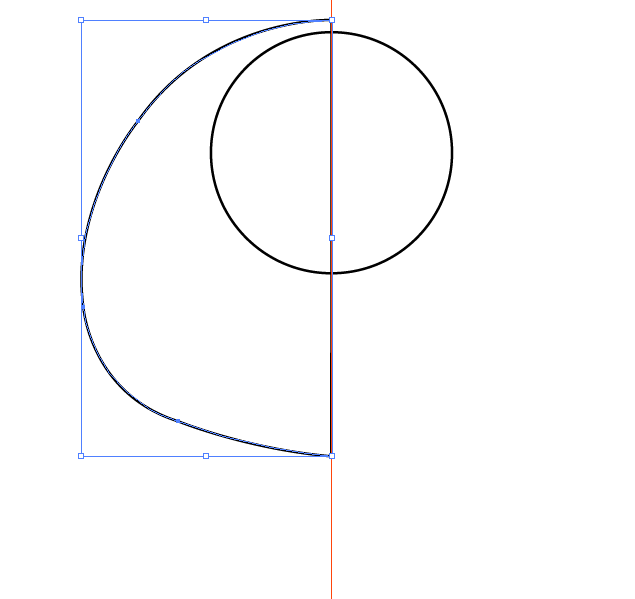 Finally, using the Ellipse tool (L), draw an ellipse, and adjust it with the Direct Selection tool (A). 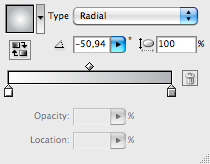 Using the Selection tool (L), select everything except the perfect circle. 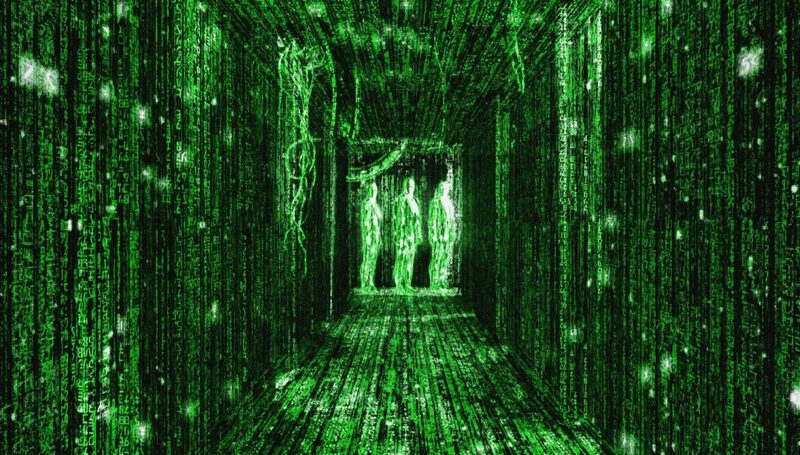 Hold them, and press Shift, and then drag across, which will duplicate the elements. 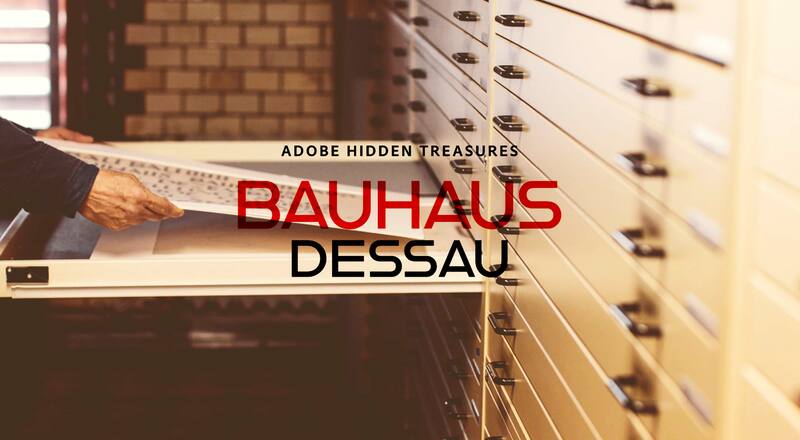 Right-click on these elements to open the context menu. 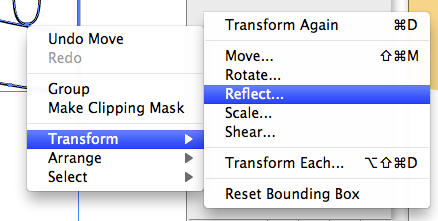 Go to Transform → Reflect. Now that our lines are done, let’s color them in. 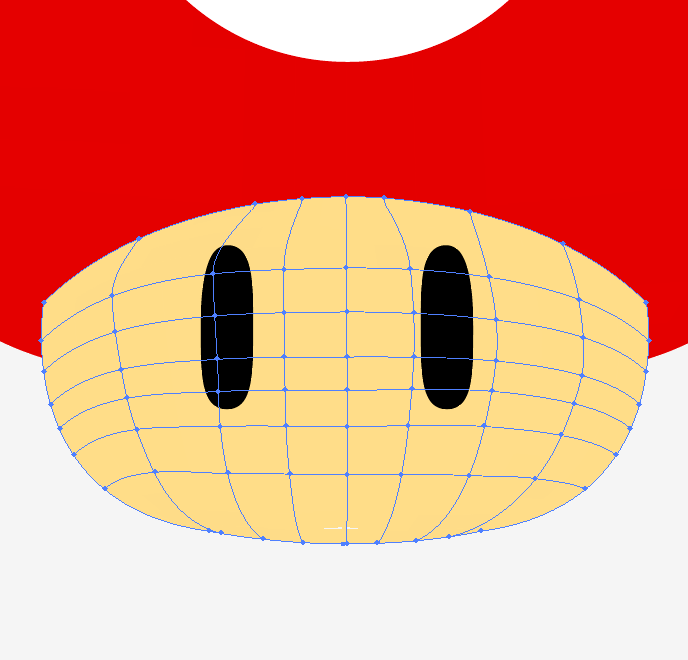 Before we can start with the Mesh tool, we have to choose the main colors of the mushroom, set them as fills, and disable all strokes. 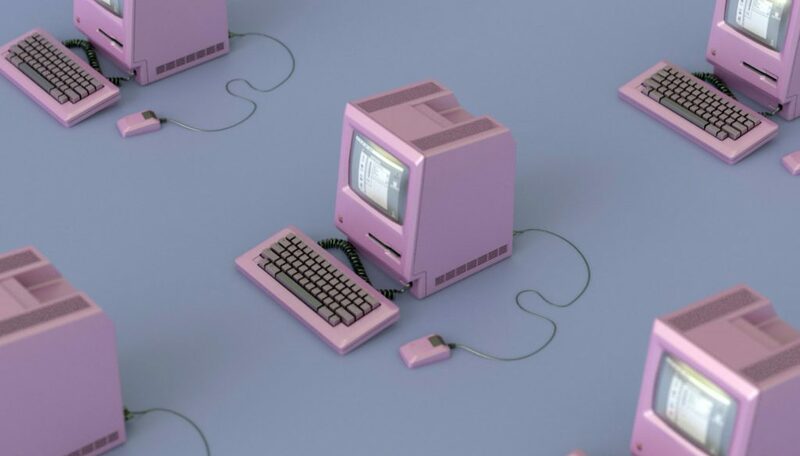 Ok, everything’s set. 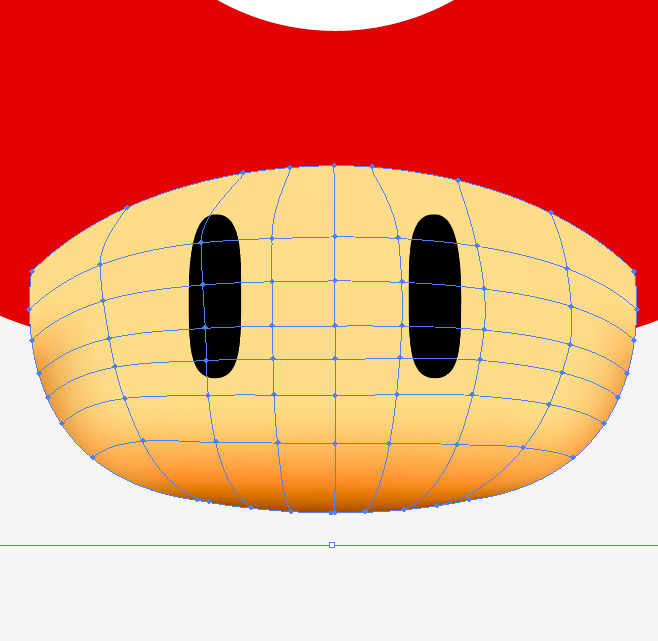 Time for the Mesh tool. 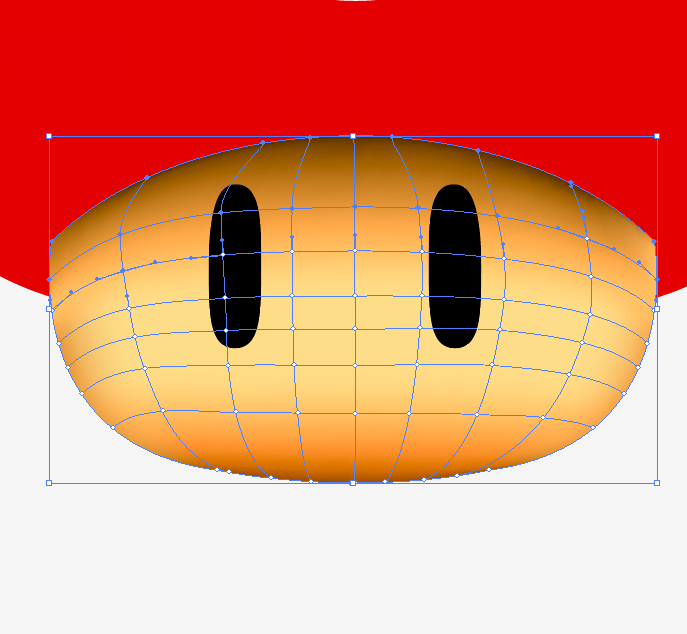 Like me, you’ve probably used the Mesh tool only a few times, if ever. 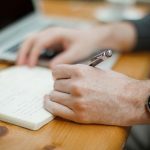 Mastering a tool is hard if you don’t know the basics, so let’s try a simple exercise before proceeding. 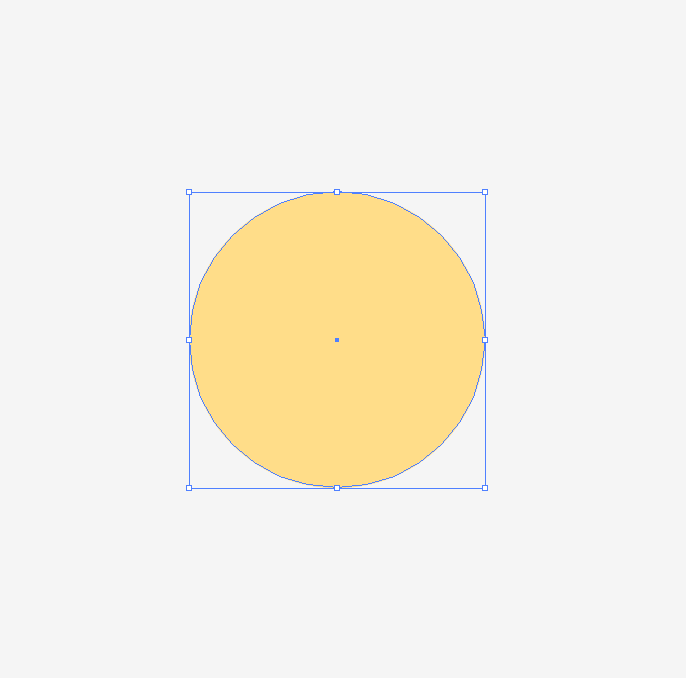 First, create a perfect beige circle using the Ellipse tool (L) + Shift. 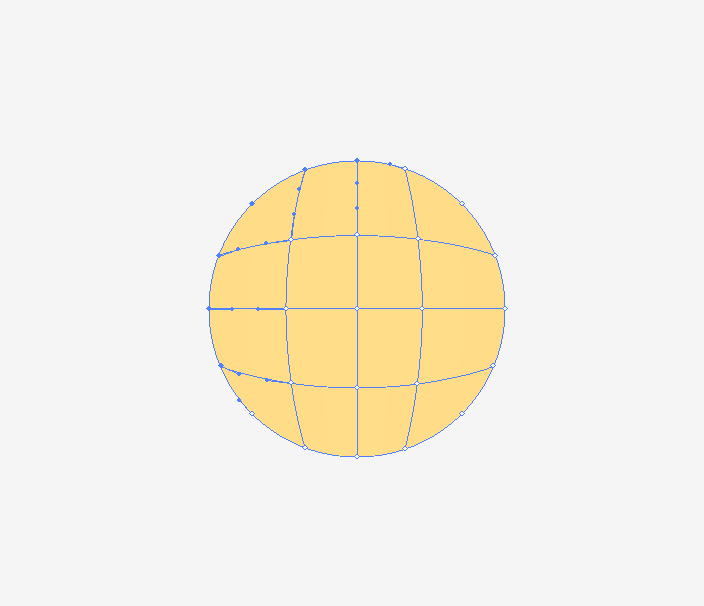 Use the Mesh tool (U) to create the grid below. 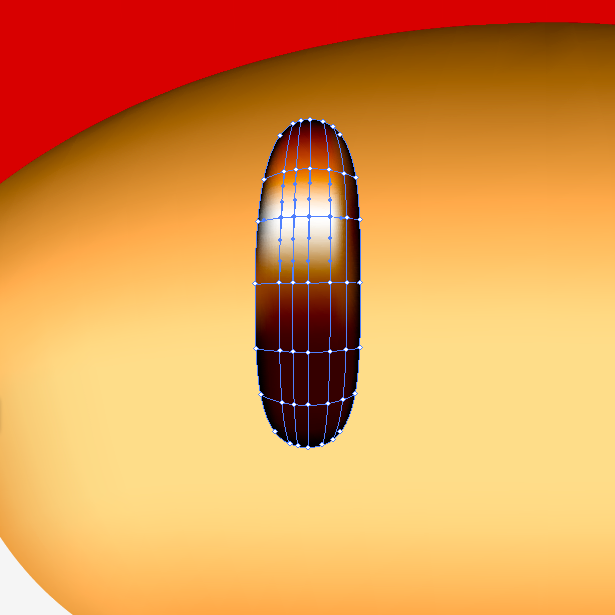 The tool creates two axes at a time, so you might have problems plotting them on the shape the first time you try it. 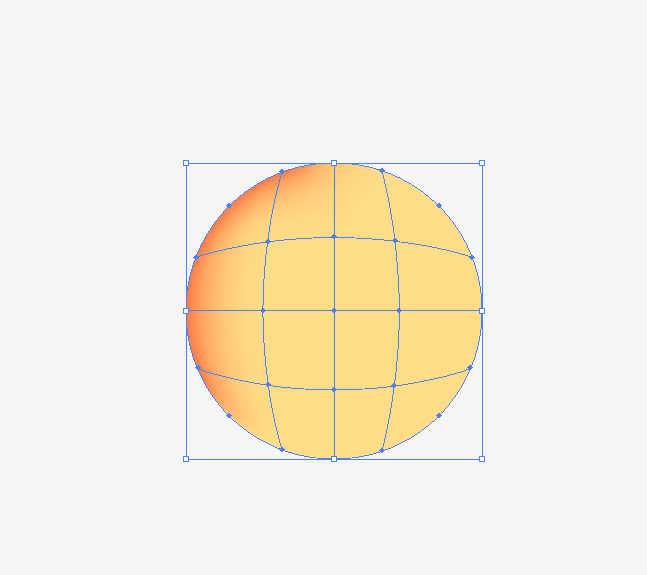 Practice on simple shapes like this circle, and always try to make the grid symmetrical. A good trick is to start with one point in the center. 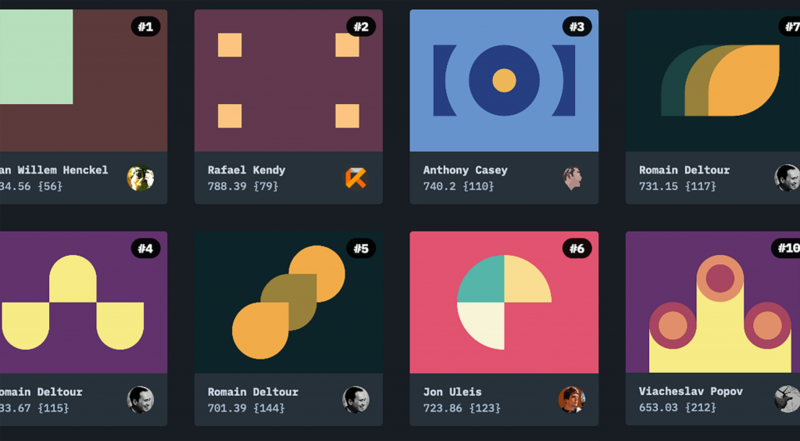 Use the Lasso tool (Q) to select the points you want. 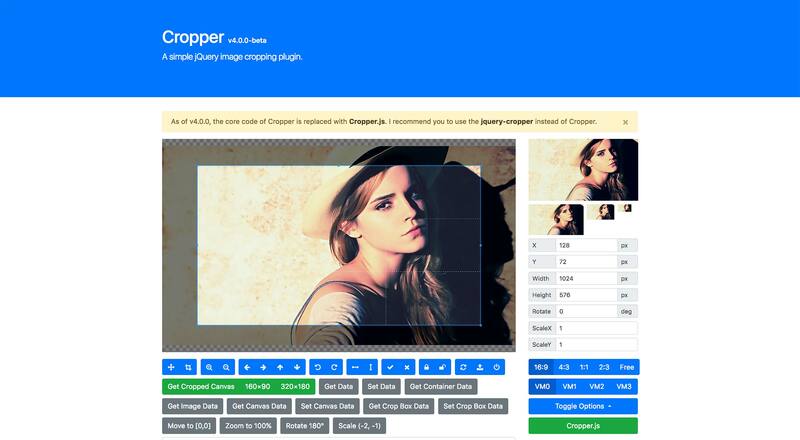 This is the same selection tool that you know from Photoshop, so you’re probably already comfortable with it. 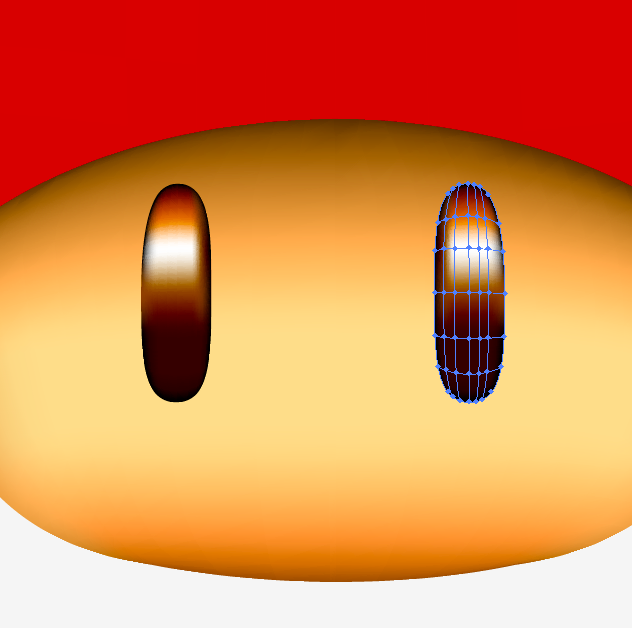 Select the points in the upper-left portion of the ball. Repeat the same process on the opposite side, with a lighter color this time. If you didn’t achieve the result below, keep practicing. It’ll get easier. 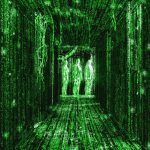 After a couple of tries, you’ll understand the dynamics of it. 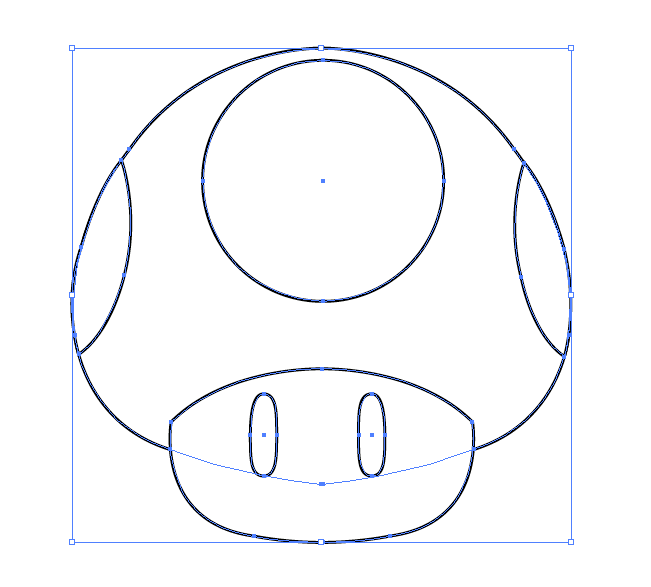 Before starting on the mushroom, lock the other elements so that you don’t accidentally select them with the Lasso tool (Q). But lock one element at a time (face, then head, then eyes, etc.). Let’s begin with the face. 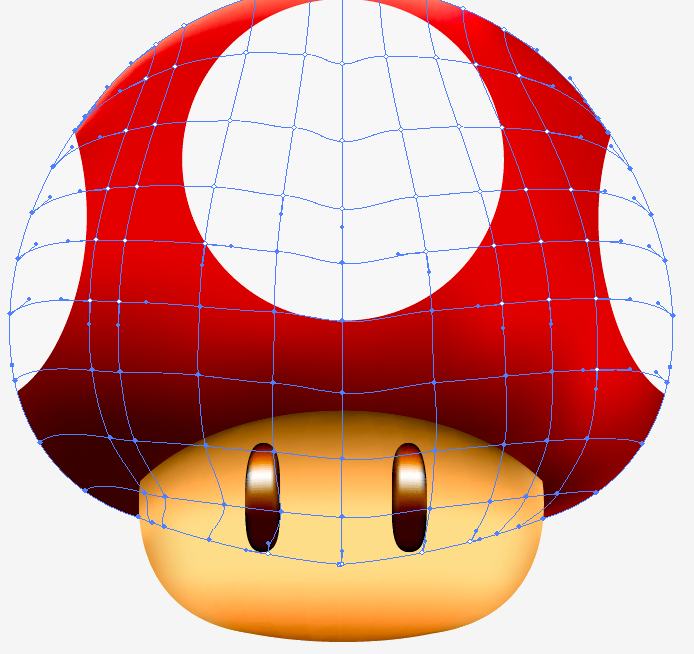 Make a net using the Mesh tool (U). Try to make it symmetrical. 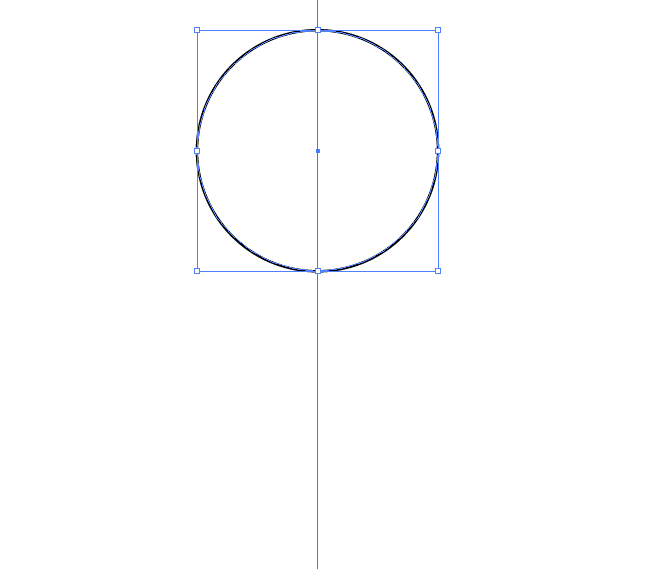 Use the Lasso tool (Q) to select the points at the botton. 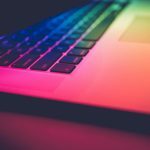 Use the Color panel to choose a darker color (something like brown), and adjust the gradient using the Eyedropper tool (I). 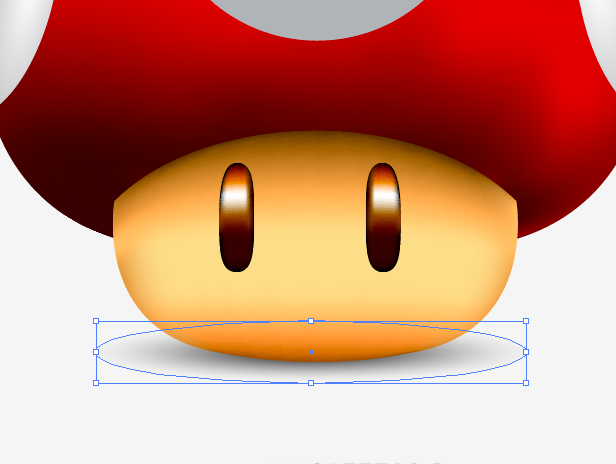 Do the same thing at the top of the head, using a darker color this time to make it look like a shadow. 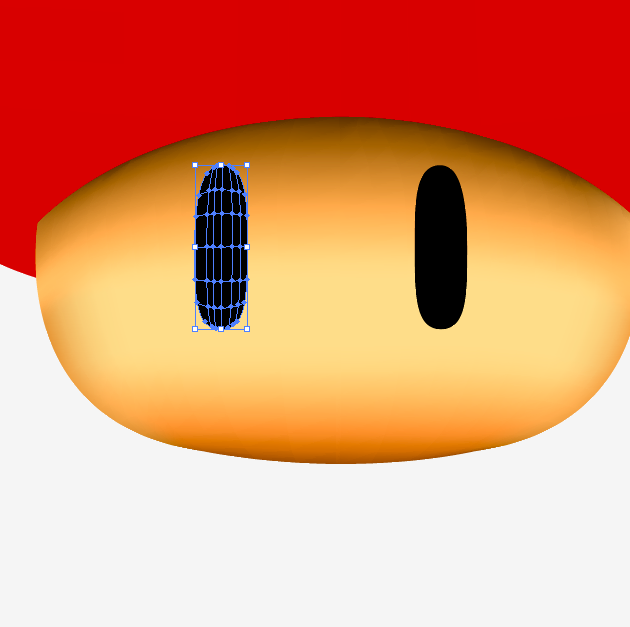 Use the Mesh tool (U) on just one of the eyes. We’ll duplicate it later to save time. 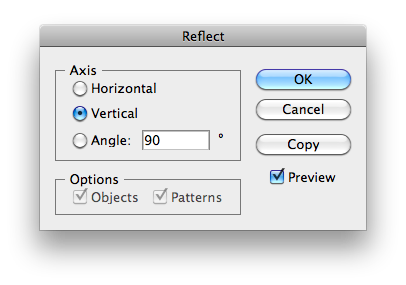 Make a symmetrical grid. Choose the points in the center using the Lasso tool (Q), and adjust the amount of gradient using the Eyedropper tool (I), selecting each point individually. Add some white for light in the eye. Take your time adjusting it. Duplicate the eye, reflect it, and position it across from the left eye. 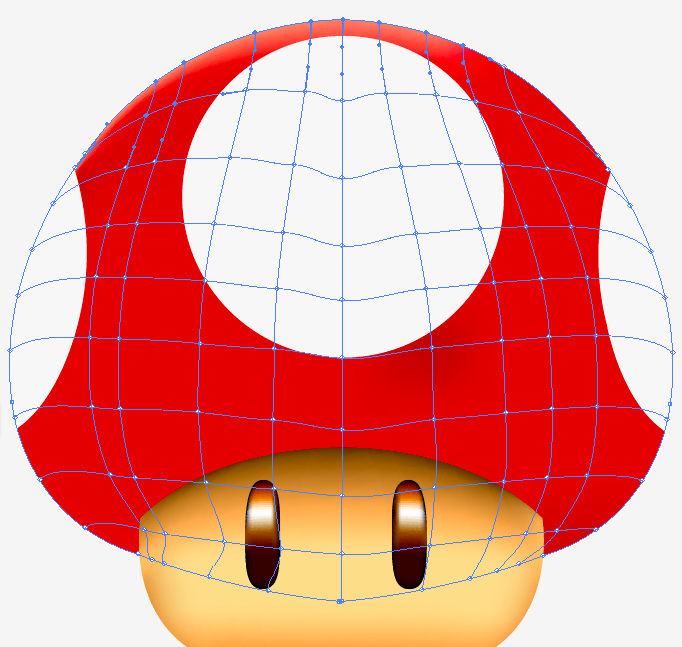 Use the Mesh tool (U) on the head. 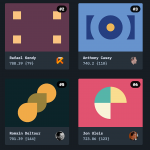 Making this grid will be a bit tougher because it’s bigger, but it doesn’t have to get too complex. Use the Lasso tool (Q) to add some white to the top of the head. 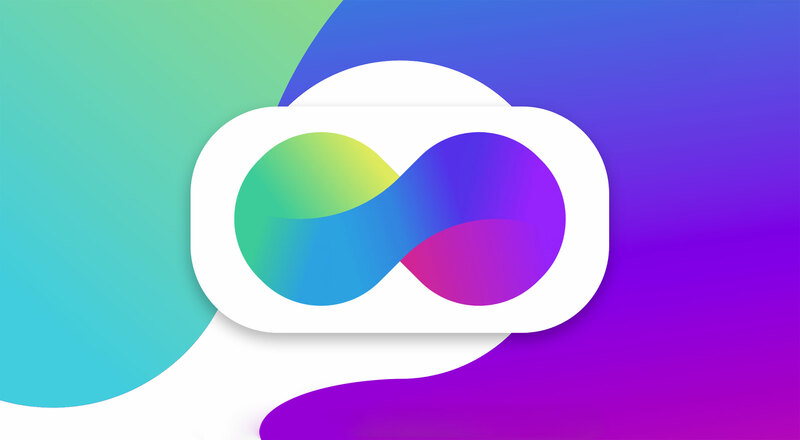 Adjust the gradients using the Eyedropper tool (I). 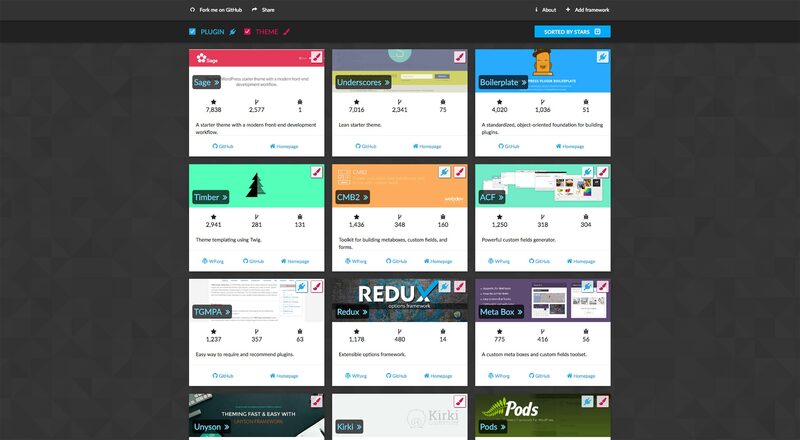 The black gradient at the bottom is unusual and so might be a bit hard to get. 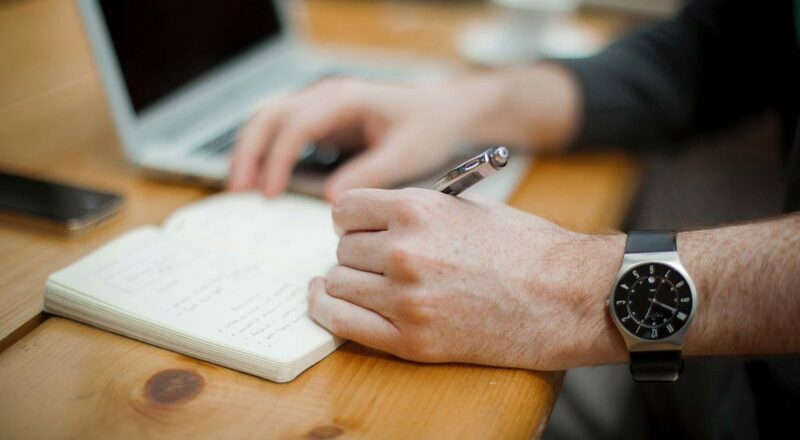 But practice the selection and adjust it as you go along. It’s easy, trust me. I decided not to use the Mesh tool on the circles, because they are fairly simple shapes and have way less light to be managed. 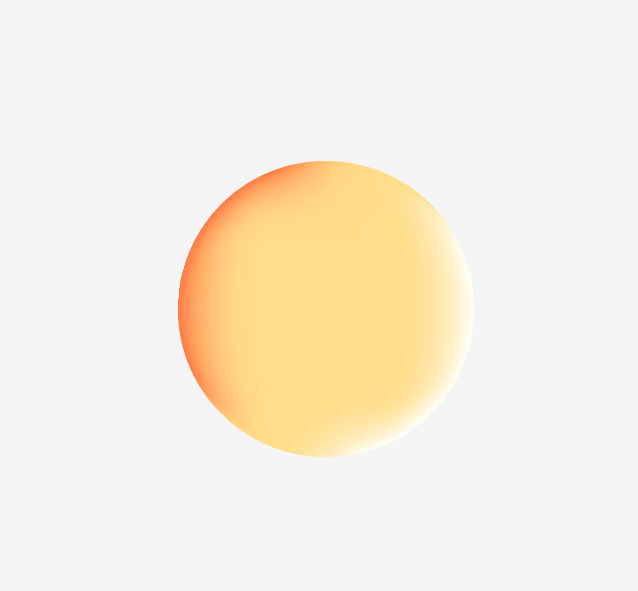 Instead, I used the Gradient tool (G) to get a white-to-gray radial gradient, and I just adjusted its direction and amount. 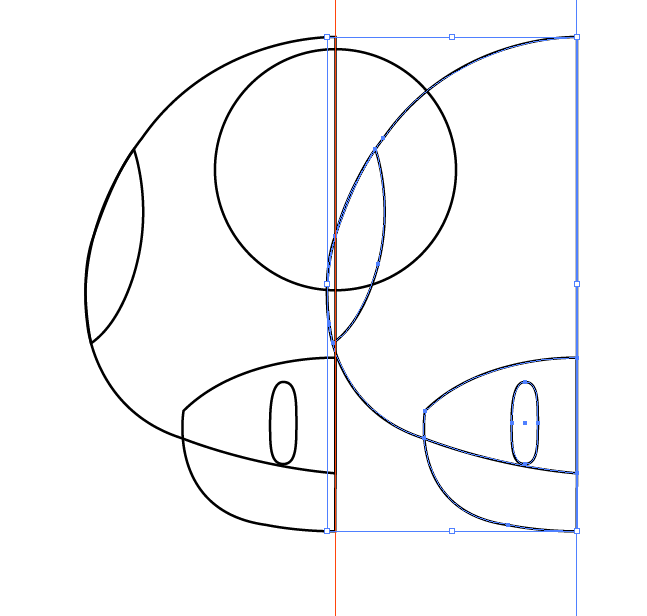 I repeated the process with the circles on the side. Just be careful with the gradient’s direction. 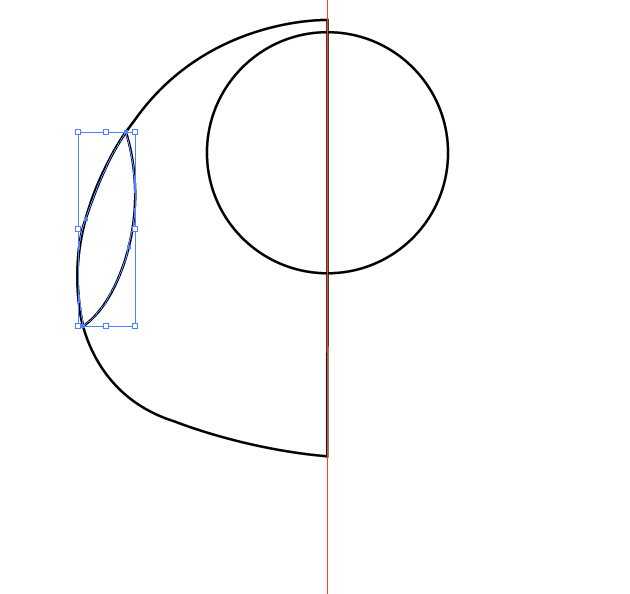 For a final touch, I added a simple ellipse to the bottom using the Ellipse tool (L). 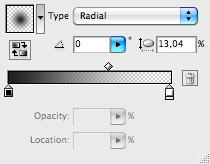 Then, using the Gradients panel, I applied this fading black gradient and adjusted its amount and shape. 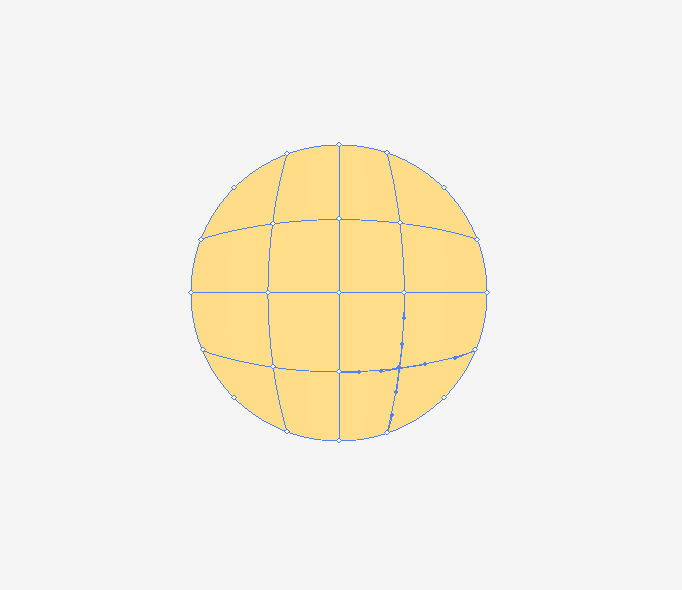 Quite simple, and better than a Gaussian blur to achieve the same effect. 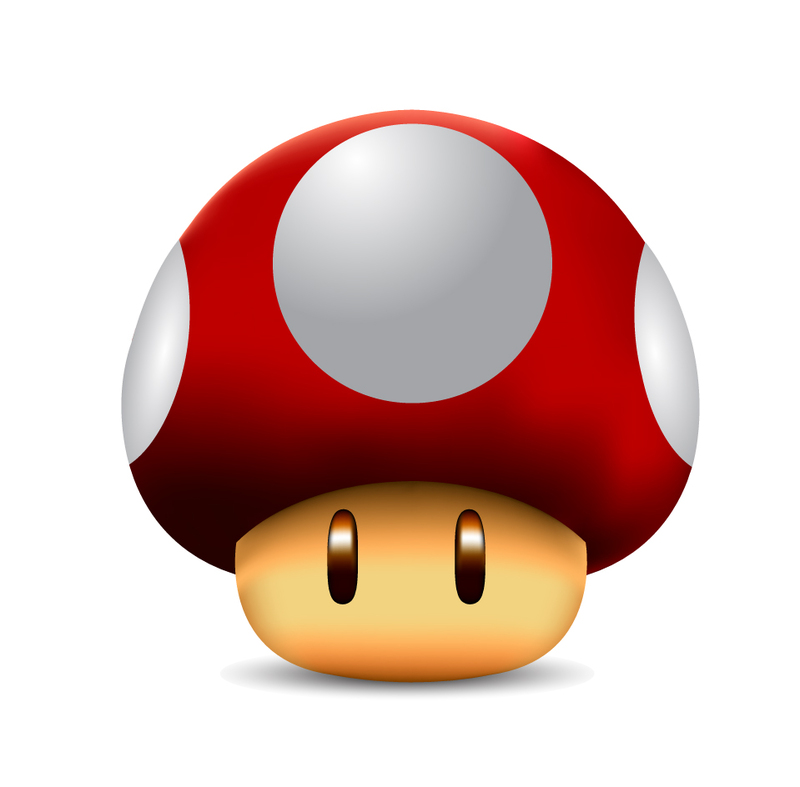 Our mushroom is finally done! 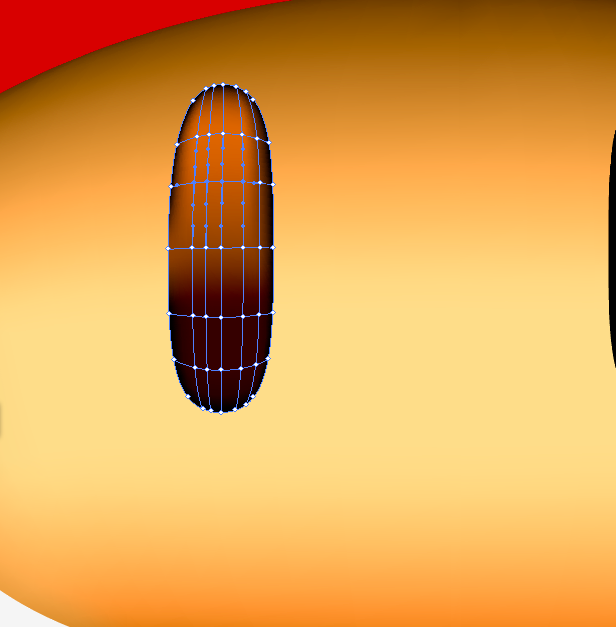 Well, I hope you had a great time following this tutorial and learning more about the Mesh tool. 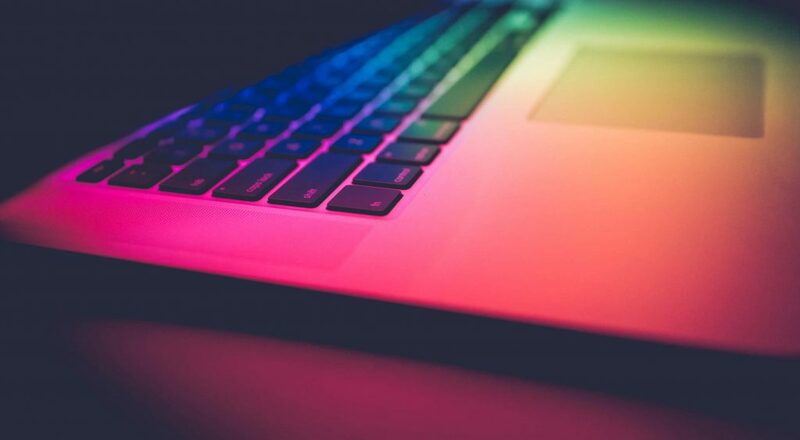 Please share your results with us. Did you run into any trouble?